This WV Project CommuniTree event, organized by the City of Ranson, involved the planting of 286 native trees of various species. 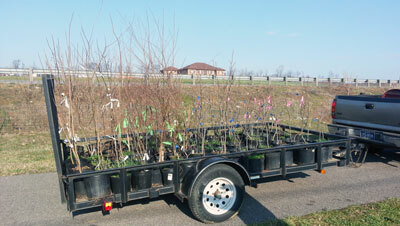 100 were provided by a WV Project CommuniTree tree kit with a wide mix of shade, flowering, and evergreen trees. 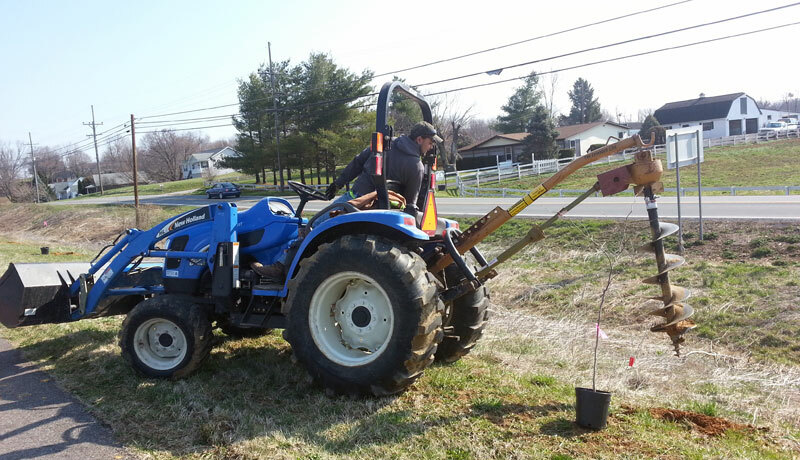 The additional 186 trees were donated to the Ranson City Nursery for this project, including 137 trees donated by individuals and organizations and 49 bare root birch and red oak seedlings provided in 2010 by the WV Division of Forestry through the Mountaineer Treeways Program. The trees were planted along both sides of the Route 9 paved bicycle trail within the corporate boundary of the City of Ranson. This spring 2014 planting extends upon initial CommuniTree planting of 157 trees in fall 2013 along both sides of the Trail. 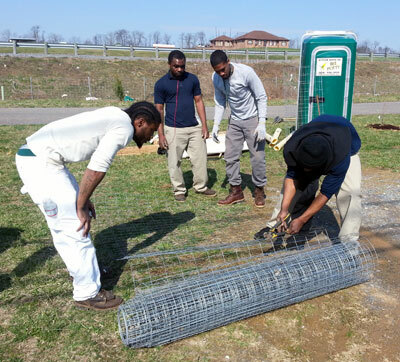 The goal of the project is to enhance the environmental, aesthetic, and public use functions of the Trail corridor through community based partnerships for tree planting and maintenance. The activities during the planting week of April 7 continued the legacy of cooperation from 2013 thanks to the combined support of the WV Project CommuniTree Program, the City of Ranson, neighbors and organizational volunteers and a large group of Harpers Ferry Job Corps students (41), and staff from the Harpers Ferry Job Corps. 56 people contributed on project day – about the same as in fall 2013. 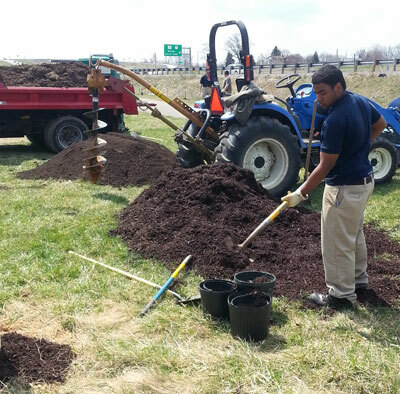 Like last year, the weather was sunny and mild during preparations, planting, and follow-up maintenance immediately after planting (watering, staking, etc. ).